The Client sourced Perception Integrate through an affiliate that used our services in the past with an auditorium installation at New Hall School in Chelmsford, Essex. The wedding venue itself was a new build located in Hainault Essex amongst sprawling fields in the beautiful Essex country side. The Client brief was to provide an AV solution that would cater for most eventuality’s to ensure the spaces could be marketed for both weddings, and corporate functions. The design team created a proposal to provide a high-end AV solution that offered various orientations and room states to ensure versatility, and provide innovative elements to enhance the space, and provide a User friendly system which would allow the inhouse staff to operate. The proposal and functionality rationale was very well received by the Client, and Perception Integrate were officially commissioned to commence works. The 1st fix installation team were mobilised to site to install AV infrastructure cabling based on the confirmed design which was annotated over the Building Contractors CAD. Once all cables were installed, labelled and tested for continuity, the second phase then began. During the 1st fix phase the system was being built back at Perception HQ in the build room, tested and verified with all control functionality being designed compiled and rigorously tested. Meanwhile the 2nd fix team were onsite installing high level projection rigs, HD PTZ cameras, wall mounted preview screens and over 45 BOSE flush & surface mount speakers with 2 large subwoofers. The Perception build team then commissioned the 2 x 42U equipment racks and they were then taken to site for final connection to the already installed AV cabling backbone, and 2nd fix considerations. 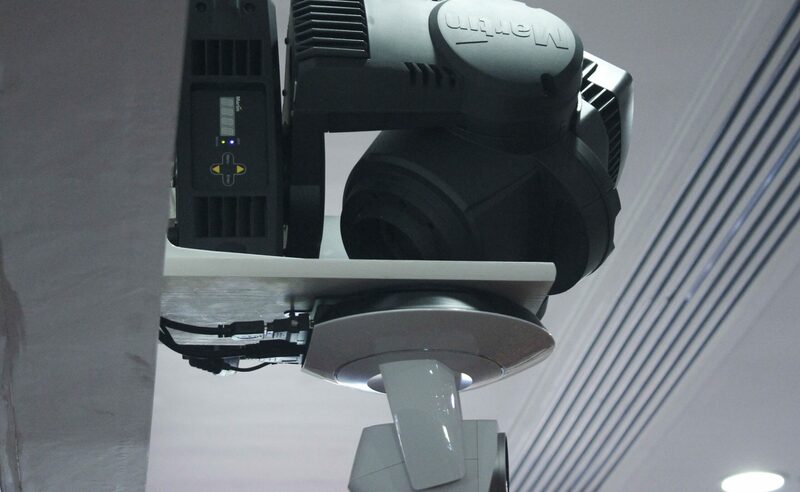 The system was tested, snagged and commissioned by BOSE audio architects and User training was performed. Perception Integrate were commended upon handover and the Client plans an additional space within the venue and have commissioned Perception once again for design and signoff. The project was commissioned and handed over within the allocated timeframe, and the Client commended Perception for their care and attention for the site itself and working around other contractors whilst still providing a professional, concise product.